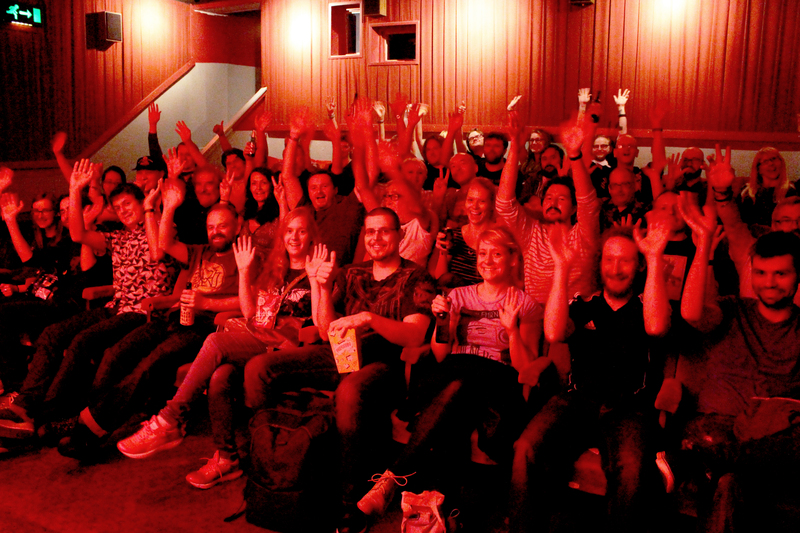 Welcome to Scalarama – a celebration of cinema every September! Imagine September as your month of cinema – 30 days in which you can see some of your favourite films on the big screen with friends, family, neighbours or strangers (aka friends yet to meet). Imagine 30 days where cinemas from across the land join together to celebrate what they do – creating events where people can watch films together. Imagine 30 days where cities, towns and villages feel transformed with cinemas popping up in unexpected places. And imagine 30 days where you might dip your toe in and try showing films to others, films to make people think or laugh, or just bring people together. Well imagine no more, for this is Scalarama! Since 2011, every September, cinemas, film clubs and film festivals plus various organisations and individuals who have a passion for movies, have united to celebrate and encourage watching films together. This annual celebration sees September transform into a month of amazing films, screened in various locations and by all different types of people – from established picture palaces to complete beginners, people and groups who decide September is a good time to try screening films to others. Scalarama is by everyone, for everyone, everywhere, with DIY in its veins. There’s no cost to being involved, and we hope you find new activities and locations in your area. Preparation for Scalarama 2018 are already taking place with groups in cities such as Leeds – Liverpool – Glasgow and Edinburgh already meeting up to plan their September Party. This year Scalarama will also celebrate the 40th anniversary of the legendary Scala Cinema in London that was the original inspiration for the season. Check out the Indiegogo fundraiser for the Scala Cinema Book to find out more about this iconic venue. Teaming up once more with our sister season #DirectedByWomen, Scalarama will be focusing its energies on making sure access to films directed by women is improved and putting steps in place for gender awareness and equality in cinema programming. With more plans soon to be announced, keep checking this site for updates, follow us on Twitter and like us on Facebook. Or sign up to our mailing list to be in the know. There are 4 simple steps to getting involved in Scalarama and we invite you to take as many or as few as you want. Scalarama is also a state of mind, helping people connect over cinema in September – so even if you don’t make it to a screening, there are many ways to support the initiative. Cinema is fun, illuminating, social. Clear your diary and start planning more cinema trips in September. Make September an adventure by going to a new cinema or film club, or try out different types of films than you would usually see. Get the cinema bug by planning your own cinema screening – you could start with showing a film at home to friends and family, but if you want to show films to the public, Scalarama can help you out with advice and tips. Scalarama is a grassroots initiative involving thousands of people working together to screen films and support each other. You can help by supporting local initiatives by attending events, tweeting, sharing… or why not meet like-minded cinema fans by starting your own local Scalarama? Interested in any or all of the above steps? Or want more information? Just drop us a line at hello@scalarama.com and we’ll get you started.